The month of Kanye has ended, but now the real work begins. 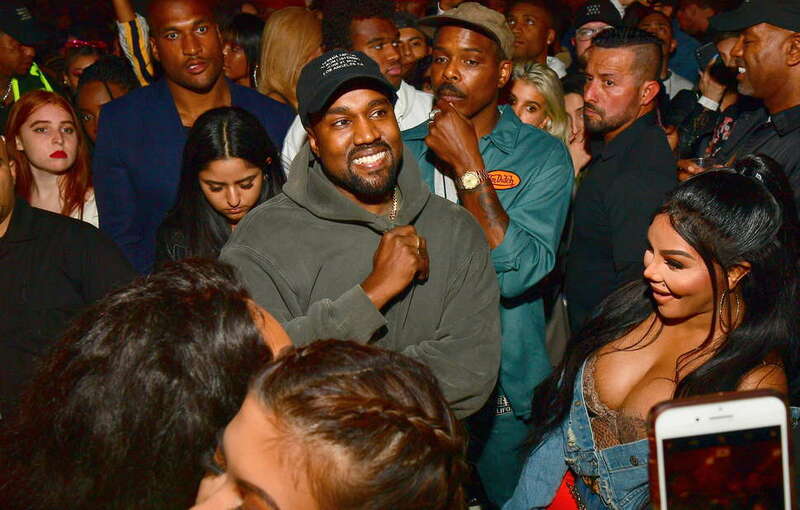 Over the last five weeks, Kanye West has released a solo album, a collaborative project with Kid Cudi, and three records for other artists -- Pusha T, Nas, and Teyana Taylor -- that he produced and released under his GOOD Music label. In addition to his MAGA-supporting posts on social media and often toxic public interviews, it's been the most exhausting and bewildering period for the 41-year-old rapper since… well, the last time he released a record. When The Life of Pablo dropped in February of 2016, many fans of the endlessly controversial rapper spent the rest of the year grappling with the record. 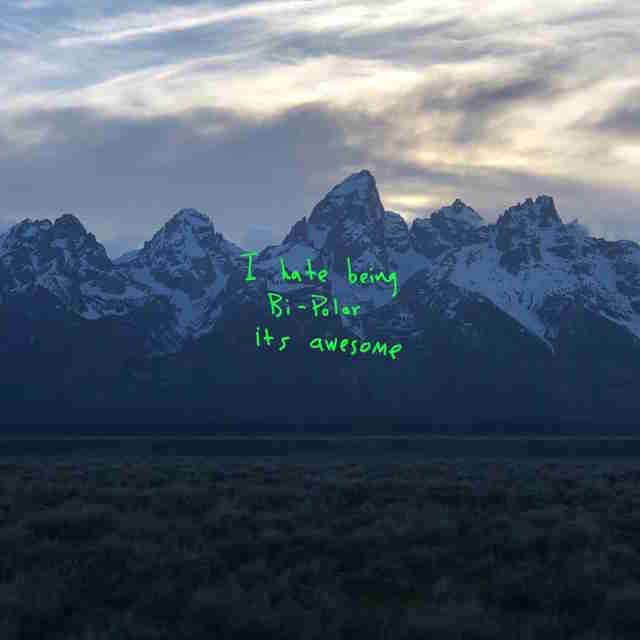 The album's messy promotional roll-out, hyper-publicized production process, and the post-release tinkering by Kanye himself (best encapsulated by the phrase "Ima fix wolves") inspired a sense of ownership in listeners who went on to create their own versions of the record, dropping songs and rearranging the tracklist. It was art as widget. With even more music this time around -- and, if recent interviews are to believed, a possible 52 additional records coming at some point in the future -- the opportunities for playing armchair A&R are endless. On the surface, the quintet of records that West has produced from his musical workshop in Wyoming over the past month feels like a rejection of Pablo's bountiful excess. Each was supposed to consist of only seven songs. (Taylor's KTSE, the last of the bunch, has eight tracks.) They would be intimate, provocative, and of-the-moment. Sometimes they were so of-the-moment that they weren't finished until the second they debuted, with West snapping the cover art for ye on his scenic drive to the release party. Taylor's record, that final one of the batch, is getting another upgrade soon because of sample clearance issues. The work is never done. So, in the half-assed and impulsive spirit of the project, why not pick the best two songs from each record and make a decent 10-song sampler? It's a crowded month for pop music's A-list, with Beyoncé and Jay Z releasing their Everything is Love on June 16 and Drake's Scorpion arriving on June 29, so not everyone has time to sift through the clutter. That's what I've done with the Spotify playlist below, and further down you'll find some thoughts on which of these records are worth listening to in full and which ones should have stayed in the mountains. Best songs: "If You Know You Know" and "Come Back Baby"
This record from the former Clipse rapper was the first released, and it remains the most striking and fully realized project of all the albums. As a solo artist, Pusha T has had shining moments, like during his verse on West's "Runaway" and in individual songs off his previous two GOOD Music records, but he's never sounded as locked in and focused as he does here. The stripped-down, sample-based production from West on tracks like "If You Know You Know" and "Come Back Baby" is a perfect fit for the Virginia artist's carefully composed rhymes. 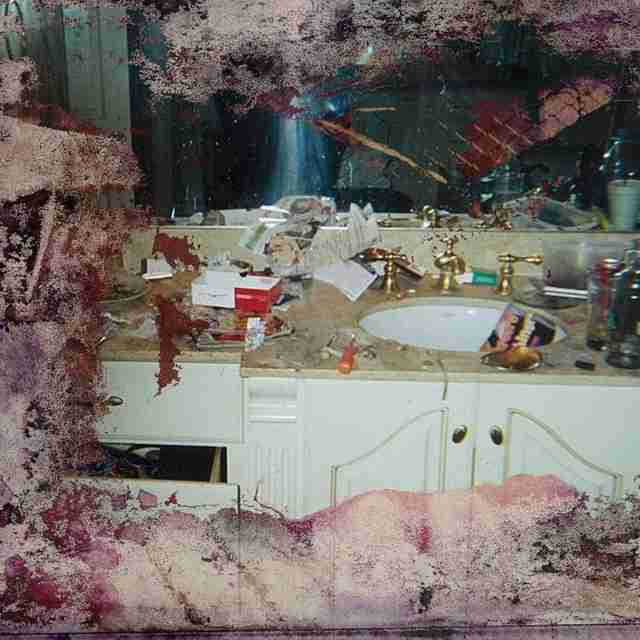 The brevity works to Pusha's stylistic strengths: There's so little clutter here that the few flourishes, like a guest verse from Rick Ross on "Hard Piano," make an even greater impact, like a daring brushstroke across an empty canvas. Even the lame Kanye lines on "What Would Meek Do?" can't derail the record's singular purpose. Best songs: "Yikes" and "Ghost Town"
For over a decade, Kanye West's music has been defined by its breadth. Even seemingly "small" records in his discography, like the electro-pop experiment 808s and Heartbreak or the noise-rap statement Yeezus, have a ravenous musical scope that incorporate whatever West was curious about in the moment. Ye might be the first Kanye West record that's for completists only, an often dull hodgepodge of half-baked lyrics and uninspired takes on previously explored sonic textures. The 23-minute length doesn't do him any favors: When the record gathers some energy after "No Mistakes" and "Ghost Town," it stumbles to the end, flatlining with "Violent Crimes," a confused plea to his young daughter that mistakes radical honesty for profundity. He's not even trolling here; he's just boring. Best Songs: "Reborn" and "Kids See Ghosts"
Kid Cudi has been an important collaborator in West's career ever since 2008's 808s and Heartbreak, a mournful and raw record that grows more influential with each passing year. The two play well off each other, as Cudi's gift for melody consistently enlivens West's songwriting and West's production keeps some of Cudi's more baroque tendencies in check. 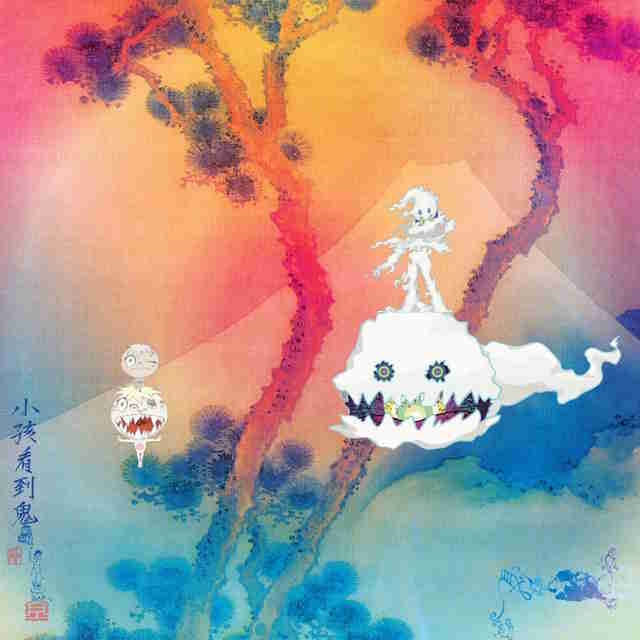 Kids See Ghosts is like a scaled-back, less politically mindful version of Watch the Throne, West's record with fellow rap legend Jay Z. This less hyped team-up isn't terribly ambitious or revelatory, but it's effective. Instead of the quasi-psychedelic ramblings of later Cudi or the incoherent inspirational talk of recent West, you get songs like "Reborn," which contains one of West's most potent verses in a while. "I was off the chain, I was often drained," raps West, "I was off the meds, I was called insane/What an awesome thing, engulfed in shame." It's exactly the self-aware mix of bravado and vulnerability that ye lacks. Best songs: "Cops Shot the Kid" and "Adam and Eve"
The pairing of Kanye West with a legendary rapper like Nas sounds potentially appealing on paper, but you know the execution is off from the second you hear the opulent strings of "Not for Radio," which samples the score for The Hunt for Red October. Nas, an unquestionably brilliant lyricist with a weakness for silly conceptual gambits, appears lost wandering through the vast corridors of the art-rap mansion West has built for him here. When he's not grumbling about vaccines, conspiracies, and Fox News, he sounds listless. 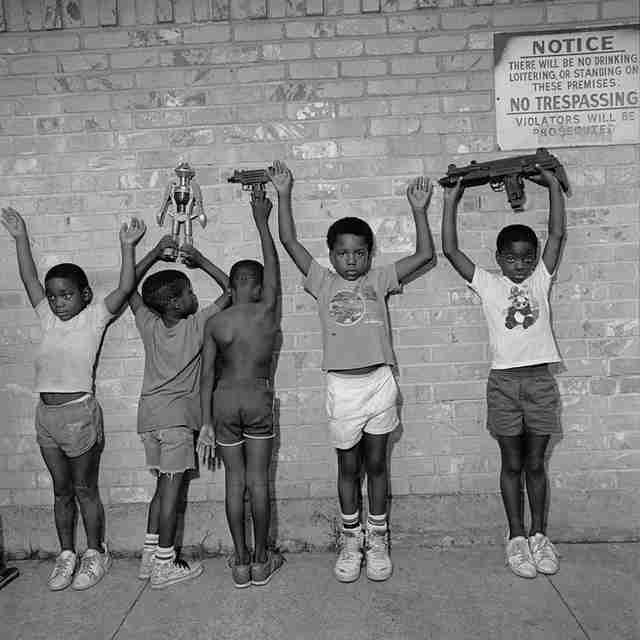 Compared to his last record, the (seemingly) revealing post-divorce confession Life is Good, Nasir is opaque and closed-off. He doesn't respond to the recent allegations of physical and mental abuse by his ex-wife, the singer Kelis, and his reflections on current events are more rote than thought-provoking. Besides a handful of winning throwback moments, the record feels like a homework assignment cobbled together out of a sense of obligation. Best songs: "Rose in Harlem" and "WTP"
Teyana Taylor has a lower profile than the more established veterans releasing albums as part of Kanye's GOOD Music Wyoming project, but KTSE, her second full-length, is the work of a confident artist with a keen grasp on her own strengths. If you only know Taylor from her VH1 reality series with her husband, Sacramento Kings player Iman Shumpert, or her starring role in the video for West's "Fade," this is a rewarding introduction to her propulsive take on R&B. Despite arriving later than expected and apparently missing some parts, the record doesn't feel rushed. It lets you breathe. Songs like "Rose in Harlem" and "WTP" are meticulously built around classic soul and dance music samples, which provide plenty of room for Taylor to show off her range as a vocalist and lyricist. One hopes she can keep the same energy going for her next record, which likely won't arrive under such bizarre circumstances.